To Fit: Mercedes A Class 1997-2004. Diesel Models only. Quality aftermarket part, designed to meet, or exceed original factory equipment specifications. 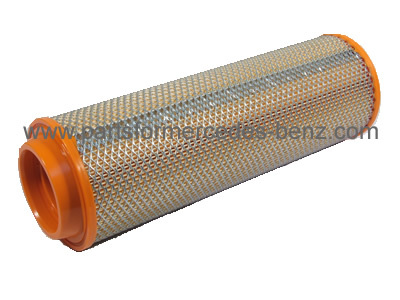 Equivalent Mercedes part number; A6680940304 (for reference only). VAT (Value Added Tax) is charged at 20% on all purchases shipped within the EEC (with the exception of certain items such as books). 1) Prices displayed on this website are VAT inclusive where the selected currency is an EU currency. 2) All non EU currency prices displayed do NOT include VAT. 3) Orders shipped to addresses outside the EEC will NOT be charged VAT, once shipping address is set and you are logged into your website account, VAT is automatically removed from all prices. 4) Orders being shipped within the EEC will be VAT inclusive where applicable. 5) If you are viewing prices in a non EU currency, prices displayed DO NOT include VAT. Please SelectAutoGlymBentley Publish..Bilstein Suspen..Black DiamondBoschBSRComma OilsEGREibach Suspensi..Evo Automotive ..FerodoGliptone Leathe..Goodridge Brake..GunsonH&R SuspensionHaynes Publishi..Jetex ExhaustsJR FiltersKoni SuspensionLesjoforsLucasMagnecorMer ProductsMercedes BenzMintex BrakingNGK Spark PlugsOsram LightingPagid BrakingPFSPFS StylingPhilipsPipercrossPowerflex Poly ..Renovo Roof pro..Ronal AlloysSachsSamco SportSKFSuperflex Poly ..